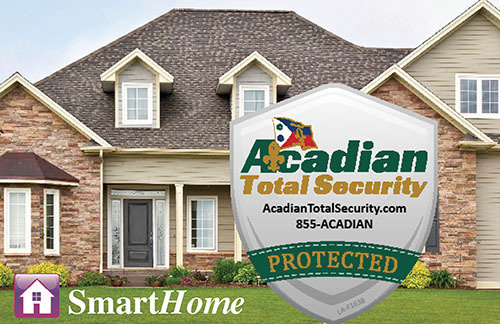 Acadian Total Security offers cost-effective home, fire and burglary protection solutions to fit any lifestyle or budget. We offer a variety of systems, including wireless and home automation options, with affordable monthly fees. Our team uses advanced technology for fast, accurate and professional response to any alarm signal. You will have peace of mind knowing your home is secured by Acadian Total Security.